A mixture of copper, wood, ceramic, brass, and everything but the kitchen sink. 7” round porcelain platter with patterned scalloped edge. Copper is hot! 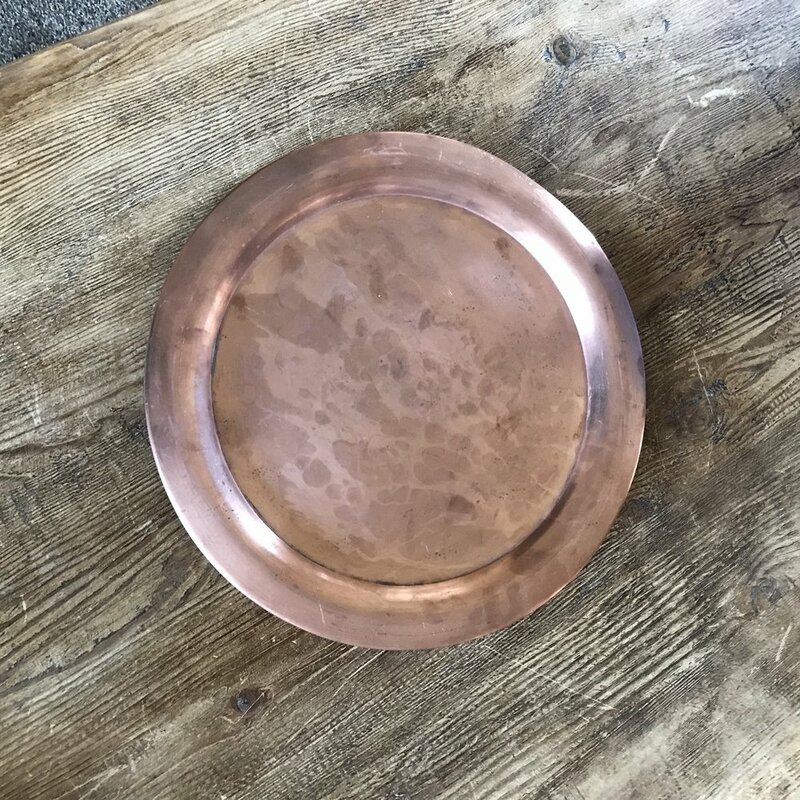 Trendy copper trays. 15.5" round. Two sizes: 16” x 11.5” and 12.5” x 8.5”. Rented as a pair. 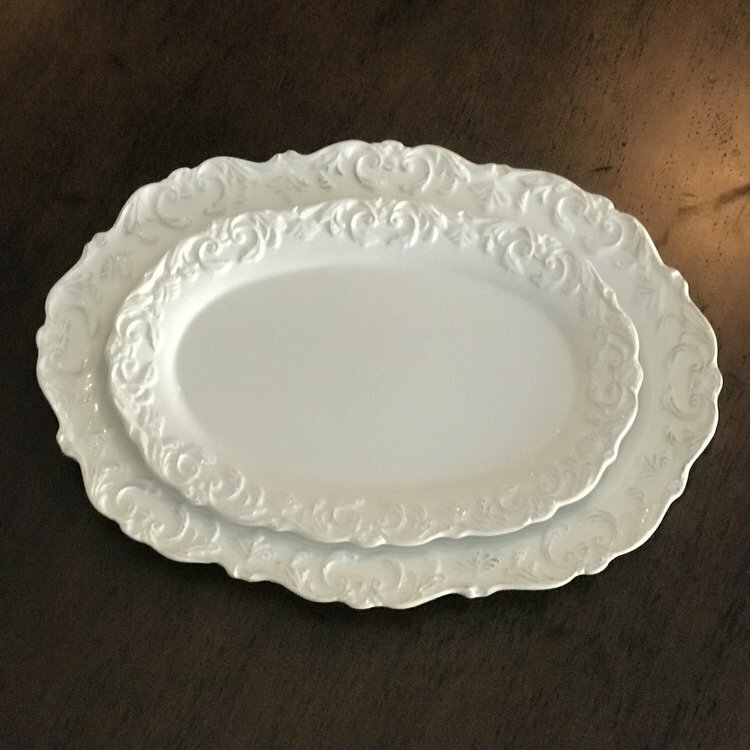 9” round embossed white porcelain platter.